The Boston Bruins are looking to turn the page after a February to forget. Boston salvaged a 4-6-2 record, but not before a six-game losing streak and disappointing Western Conference road trip (1-2-2) left fans with a bitter taste in their mouths. Back-to-back wins against New Jersey and Arizona have done little to help the Black and Gold faithful relax as the calendar turned to March. Fans expected general manager Peter Chiarelli to make a splash on trade deadline day, but were left wanting more as the club acquired Brett Connolly and Maxime Talbot. Chiarelli looked to acquire a “depth defenseman” as he put it, but could not find a piece to insert into Boston’s top-four. The focus now shifts to a grueling month of March for the Bruins. The 15-game schedule features eight division matchups, eight games against playoff teams, and four consecutive weekend back-to-backs. 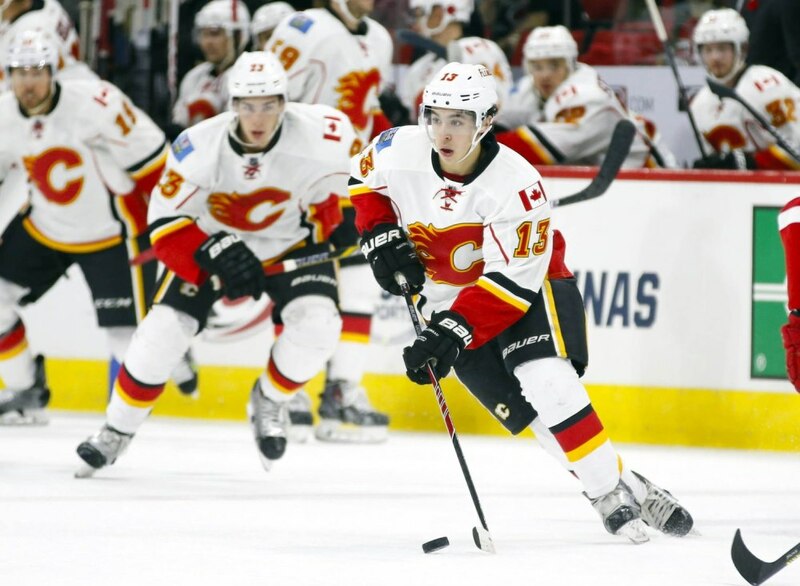 Boston starts the month on home ice Thursday night against rookie sensation Johnny Gaudreau and the Calgary Flames. The former Boston College Eagle will play his first game in Boston since being drafted by the Flames in 2011. Calgary stormed back from a 3-0 deficit over two weeks ago to defeat Boston in overtime. The Bruins will look to return the favor as both clubs are clinging on to playoff spots. Two precious points will be up for grabs on Thursday. Boston also faces the rigors of back-to-back games every weekend during March. The Bruins have dominated the front end of back-to-back games with a 7-2-2 record this season. They have not fared so well in the second game with a 3-5-2 record. The challenge of back-to-backs is having a reliable backup at the ready to relieve goaltender Tuukka Rask. The soon-to-be 28-year-old has been leaned on heavily of late as backups Niklas Svedberg and Malcolm Subban have struggled in their respective starts. Last season’s Vezina Trophy winner is 25-16-9 with a 2.34 goals-against-average and .920 save percentage in 52 appearances this season. 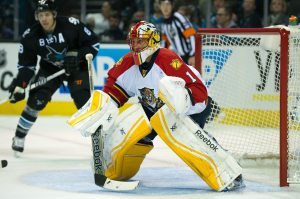 The Bruins will need their franchise netminder more often than not again this month as the team tries to separate themselves from the Florida Panthers, Philadelphia Flyers, and red-hot Ottawa Senators. Boston will play five of their 15 March games between these three teams. Speaking of the Panthers, the Bruins will play their division rivals twice in the span of 10 days later this month. The Cats are Boston’s closest competition to a playoff spot. Their meeting in Sunrise on March 21 will be the first since the Bruins won 2-1 in overtime back in November. The acquisition of 43-year-old Jaromir Jagr is expected to help Florida’s struggling offense which ranks 25th in the league scoring 2.34 goals-per-game. The second of two meetings with the Cats this month takes place in Boston on March 31. The Bruins will face other notable opponents in March. The Detroit Red Wings, Pittsburgh Penguins, Anaheim Ducks, and New York Rangers are among the challenges that await the club. Boston has had decent success against these four opponents this season, sporting a 4-3-1 record. Two matchups against Steven Stamkos and the Tampa Bay Lightning are also on the docket for Claude Julien’s squad. Eight of Boston’s 15 March contests will come against teams that are in the top-eight of their respective conferences. The Bruins struggled against playoff-caliber opposition last month with a 2-5-1 record. The loss of David Krejci to a partially torn MCL only makes things tougher for a Boston squad that could use his services as they push for a playoff spot. The line of Milan Lucic, Ryan Spooner, and David Pastrnak has played well since Julien put the trio together. Their next challenge comes in the form of being more consistent against the bigger, more physical teams Boston will face this month. Boston is just two points ahead of the Panthers, but with two vital games in hand. However, Claude Julien and the Bruins will have their work cut out for them. A tough slate of games await the club on their quest for an eighth consecutive postseason appearance.